In order to keep your vehicle running smoothly, it is important to check your fluid levels regularly. It is important to check fluids such as coolant, engine oil, brake fluid, transmission fluid, power steering fluid, and windshield washer fluid. Your car is a big investment. Checking the fluid levels and condition regularly helps safeguard against breakdown, mechanical damage, and even possible accidents. 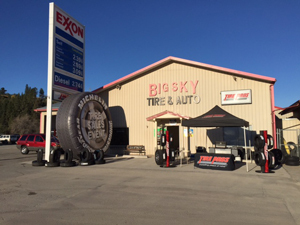 Let Big Sky Tire Pros examine and change your fluid levels today.